Before:- Ranjan Gogoi, Arun Mishra and Prafulla C. Pant, JJ. Special Leave Petition [C] No. 20525 of 2011. D/d. 21.7.2016. For the Petitioner :- Pahlad Singh Sharma, B. Krishna Prasad, Vishwa Pal Singh, Advocates. For the Respondent :- Shreekant N. Terdal, Abhinav Mukerji, D.S. Mahra, Advocates. Arun Mishra, J. - The cases have been referred to for resolving the conflict of opinion in the various decisions of Division Benches of this Court as noticed by this Court in Jainendra Singh v. State of U.P. through Principal Secretary, Home & Ors. (2012) 8 SCC 748. The Court has considered the cleavage of opinion in various decisions on the question of suppression of information or submitting false information in the verification form as to the question of having been criminally prosecuted, arrested or as to pendency of a criminal case. 30. When we consider the above principles laid down in the majority of the decisions, the question that looms large before us is when considering such claim by the candidates who deliberately suppressed information at the time of recruitment, can there be different yardsticks applied in the matter of grant of relief. 31. Though there are very many decisions in support of the various points culled out in the above paragraphs, inasmuch as we have noted certain other decisions taking different view of coordinate Benches, we feel it appropriate to refer the above mentioned issues to a larger Bench of this Court for an authoritative pronouncement so that there will be no conflict of views and which will enable the courts to apply the law uniformly while dealing with such issues." 2. This Court while referring the matter had expressed the opinion that in case an appointment order has been secured fraudulently, the appointment is voidable at the option of the employer and the employee cannot get any equity in his favour and no estoppel is created against the employer only by the fact that the employee has continued in service for a number of years. It has been further observed that if appointment is secured on forged documents, it would amount to misrepresentation and fraud. The employer has a right to terminate the services on suppression of important information or giving false information, having regard to nature of employment. Verification of character and antecedents is important if the employer has found an incumbent to be undesirable for appointment to a disciplined force. It cannot be said to be unwarranted. The Court thus further opined that suppression of material information necessary for verification of character/antecedents will have a clear bearing on character and antecedents of a candidate in relation to his continuity in service and such a person cannot claim a right for appointment or continuity in service. The Bench was of the view that in uniformed service, suppression or false information can be viewed seriously as it requires higher level of integrity and the employer is supposed to find out before an appointment is made that criminal case has come to an end and pendency of a case would serve as a bar for appointment and in such cases of suppression whether different yardsticks can be applied as noted in the various decisions of this Court. The question which has been referred to arises frequently and there are catena of decisions taking one view or the other on the facts of the case. It would be appropriate to refer to the various decisions rendered by this Court; some of them have been referred to in the impugned order. The needs of security do not require such curbs on what may well be innocuous feelings and associations. Such curbs are indeed self-defeating. They are not merely unjustifiable restraints on individuals. They are not merely productive of an atmosphere or repression uncongenial to the spiritual vitality of a democratic society. The inhibitions which they engender are hostile to the best conditions for securing a high-minded and high-spirited public service. 10. We are not for a moment suggesting that even after entry into Government service, a person may engage himself in political activities. All that we say is that he cannot be turned back at the very threshold on the ground of his past political activities. Once he becomes a Government servant, he becomes subject to the various rules regulating his conduct and his activities must naturally be subject to all rules made in conformity with the Constitution." At the same time, this Court has also observed that after entry into Government service, a person has to abide by the service rules in conformity with the Constitution. "6. It is not necessary for us to express any opinion on the applicability of Rule 3(1)(i) and (iii) on the facts of the present cases for the simple reason that in our view the railway employees concerned, respondents herein, have admittedly snatched employment in railway service, maybe of a casual nature, by relying upon forged or bogus casual labourer service cards. The unauthenticity of the service cards on the basis of which they got employment is clearly established on record of the departmental enquiry held against the employees concerned. Consequently, it has to be held that the respondents were guilty of misrepresentation and fraud perpetrated on the appellant-employer while getting employed in railway service and had snatched such employment which would not have been made available to them if they were not armed with such bogus and forged labourer service cards. Learned counsel for the respondents submitted that for getting service in railway as casual labourers, it was strictly not necessary for the respondents to rely upon such casual service cards. If that was so there was no occasion for them to produce such bogus certificates/service cards for getting employed in railway service. Therefore, it is too late in the day for the respondents to submit that production of such bogus or forged service cards had not played its role in getting employed in railway service. It was clearly a case of fraud on the appellant-employer. If once such fraud is detected, the appointment orders themselves which were found to be tainted and vitiated by fraud and acts of cheating on the part of employees, were liable to be recalled and were at least voidable at the option of the employer concerned. This is precisely what has happened in the present case. Once the fraud of the respondents in getting such employment was detected, the respondents were proceeded against in departmental enquiries and were called upon to have their say and thereafter have been removed from service. Such orders of removal would amount to recalling of fraudulently obtained erroneous appointment orders which were avoided by the employer-appellant after following the due procedure of law and complying with the principles of natural justice. Therefore, even independently of Rule 3(1)(i) and (iii) of the Rules, such fraudulently obtained appointment orders could be legitimately treated as voidable at the option of the employer and could be recalled by the employer and in such cases merely because the respondent-employees have continued in service for a number of years on the basis of such fraudulently obtained employment orders cannot create any equity in their favour or any estoppel against the employer. In this connection we may usefully refer to a decision of this Court in Distt. Collector & Chairman, Vizianagaram Social Welfare Residential School Society v. M. Tripura Sundari Devi (1990) 3 SCC 655.. In that case Sawant, J. speaking for this Court held that when an advertisement mentions a particular qualification and an appointment is made in disregard of the same, it is not a matter only between the appointing authority and the concerned appointee. The aggrieved are all those who had similar or even better qualifications than the appointee or appointees but who had not applied for the post because they did not possess the qualifications mentioned in the advertisement. It amounts to a fraud on public to appoint persons with inferior qualifications in such circumstances unless it is clearly stated that the qualifications are relaxable. No court should be a party to the perpetuation of the fraudulent practise. It is of course true as noted by the Tribunal that the facts of the case in the aforesaid decision were different from the facts of the present case. And it is also true that in that case pending the service which was continued pursuant to the order of the Tribunal the candidate concerned acquired the requisite qualification and hence his appointment was not disturbed by this Court. But that is neither here nor there. As laid down in the aforesaid decision, if by committing fraud any employment is obtained, such a fraudulent practise cannot be permitted to be countenanced by a court of law. Consequently, it must be held that the Tribunal had committed a patent error of law in directing reinstatement of the respondent-workmen with all consequential benefits. The removal orders could not have been faulted by the Tribunal as they were the result of a sharp and fraudulent practise on the part of the respondents. Learned counsel for the respondents, however, submitted that these illiterate respondents were employed as casual labourers years back in 1983 and subsequently they have been given temporary status and, therefore, after passage of such a long time they should not be thrown out of employment. It is difficult to agree with this contention. By mere passage of time a fraudulent practise would not get any sanctity. The appellant authorities having come to know about the fraud of the respondents in obtaining employment as casual labourers, started departmental proceedings years back in 1987 and these proceedings have dragged on for a number of years. Earlier, removal orders of the respondents were set aside by the Central Administrative Tribunal, Madras Bench and proceedings were remanded and after remand, fresh removal orders were passed by the appellant which have been set aside by the Central Administrative Tribunal, Ernakulam Bench and which are the subject-matter of the present proceedings. Therefore, it cannot be said that the appellants are estopped from recalling such fraudulently obtained employment orders of the respondents subject of course to following due procedure of law and in due compliance with the principles of natural justice, on which aspect there is no dispute between the parties. If any lenient view is taken on the facts of the present case in favour of the respondents, then it would amount to putting premium on dishonesty and sharp practise which on the facts of the present cases cannot be permitted." "3. This appeal by special leave arises from the order of the Central Administrative Tribunal, New Delhi made on 6-9-1995 in OA No. 1756 of 1991. The admitted position is that the respondent appeared for recruitment as a Constable in Delhi Police Services in the year 1989-90 with Roll No. 65790. Though he was found physically fit through endurance test, written test and interview and was selected provisionally, his selection was subject to verification of character and antecedents by the local police. On verification, it was found that his antecedents were such that his appointment to the post of Constable was not found desirable. Accordingly, his name was rejected. Aggrieved by proceedings dated 18-12-1990 culminating in cancellation of his provisional selection, he filed OA in the Central Administrative Tribunal. The Tribunal in the impugned order allowed the application on the ground that since the respondent had been discharged and/or acquitted of the offence punishable under Section 304 IPC, under Section 324 read with Section 34 IPC and under Section 324 IPC, he cannot be denied the right of appointment to the post under the State. The question is whether the view taken by the Tribunal is correct in law? It is seen that verification of the character and antecedents is one of the important criteria to test whether the selected candidate is suitable to a post under the State. Though he was found physically fit, passed the written test and interview and was provisionally selected, on account of his antecedent record, the appointing authority found it not desirable to appoint a person of such record as a Constable to the disciplined force. The view taken by the appointing authority in the background of the case cannot be said to be unwarranted. The Tribunal, therefore, was wholly unjustified in giving the direction for reconsideration of his case. Though he was discharged or acquitted of the criminal offences, the same has nothing to do with the question. What would be relevant is the conduct or character of the candidate to be appointed to a service and not the actual result thereof. If the actual result happened to be in a particular way, the law will take care of the consequences. The consideration relevant to the case is of the antecedents of the candidate. Appointing authority, therefore, has rightly focused this aspect and found it not desirable to appoint him to the service." 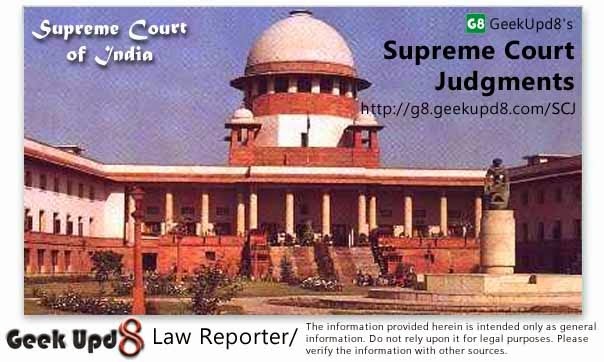 It is apparent that the background of the case was considered by the employer in the case of Sushil Kumar (supra) and this Court has emphasised in the aforesaid background that the decision of the employer was not unwarranted as the incumbent was rightly not found desirable for appointment to the service. It was not a case of suppression in the verification form. The decision does not deal with the effect of suppression but the case has turned on the background of the facts of the case in which the incumbent was involved as is apparent from the discussion made by this Court in para 3 quoted above. Thus, it is apparent that the background facts of the case have to be taken into consideration by the employer or court while dealing with such matters. "5. That there was an omission on the part of the respondent to give information against the relevant column in the Application Form about the pendency of the criminal case, is not in dispute. The respondent, however, voluntarily conveyed it on 15-11-1995 to the appellant that he had inadvertently failed to mention in the appropriate column regarding the pendency of the criminal case against him and that his letter may be treated as "information". Despite receipt of this communication, the candidature of the respondent was cancelled. A perusal of the order of the Deputy Commissioner of Police cancelling the candidature on 20-11-1995 shows that the information conveyed by the respondent on 15-11-1995 was not taken note of. It was obligatory on the part of the appellant to have considered that application and apply its mind to the stand of the respondent that he had made an inadvertent mistake before passing the order. That, however, was not done. It is not as if information was given by the respondent regarding the inadvertent mistake committed by him after he had been acquitted by the trial court - it was much before that. It is also obvious that the information was conveyed voluntarily. In vain, have we searched through the order of the Deputy Commissioner of Police and the other record for any observation relating to the information conveyed by the respondent on 15-11-1995 and whether that application could not be treated as curing the defect which had occurred in the Form. We are not told as to how that communication was disposed of either. Did the competent authority ever have a look at it, before passing the order of cancellation of candidature? The cancellation of the candidature under the circumstances was without any proper application of mind and without taking into consideration all relevant material. The Tribunal, therefore, rightly set it aside. We uphold the order of the Tribunal, though for slightly different reasons, as mentioned above." "8. The facts which are well established on record and which have weighed with us for coming to the aforesaid conclusion may now be noted. It is true that the respondent made a wrong statement while replying to Query 27 of the application form that he had not been prosecuted at any time. It is equally true that the Labour Court itself found that giving a false statement should not be deemed to be such a grave misconduct which may be visited with extreme punishment of termination from service. However, it has also to be noted that the appellant-Management while issuing show-cause notice for the first time on 26-2-1980 has in terms noted in the said notice that not only the criminal proceedings were pending but had ultimately ended in conviction of the respondent. The appellant itself thought it fit to await the decision of the criminal case before taking any precipitate action against the respondent for his misconduct. Thus, according to the respondent, this suppression was not so grave as to immediately require the appellant to remove the respondent from service. On the contrary, in its wisdom, the appellant thought it fit to await the decision of the criminal proceedings. This may be presumably so because the charge against the respondent was that he was alleged to have involved himself in an offence under Section 307 of the Indian Penal Code. It was not an offence involving cheating or misappropriation which would have a direct impact on the decision of the appointing Bank whether to employ such a person at all. We may not delve further into the liberal approach of the appellant itself when it did not think it fit to immediately take action against the respondent but wait till the decision of the criminal case. Be that as it may, once the Sessions Court convicted the respondent, the appellant issued the impugned notice dated 26-2-1980. It can therefore be safely presumed that if the Sessions Court itself had acquitted the respondent, the appellant would not have decided to terminate his services on this ground. So far as the notice dated 26-2-1980 is concerned, in the reply to the said show-cause notice filed by the respondent, he had mentioned that an appeal was pending in the High Court against the said conviction. In that view of the matter, once the High Court ultimately acquitted the respondent for any reason, with which strictly we are not concerned, the net result that follows is that by the time the Labour Court decided the matter, the respondent was already acquitted and hence there remained no real occasion for the appellant to pursue the termination order. Consequently, that was a sufficient ground for not visiting the respondent with the extreme punishment of termination of service. But even that apart, though the conviction was rendered by the Sessions Court on 20-2-1979, the show-cause notice for the first time was issued by the appellant after one year, i.e., on 26-2-1980 and thereafter, the termination order was passed on 18-4-1983. That itself by the passage of time, created a situation wherein the original suppression of involvement of the respondent in the prosecution for an offence under Section 307 of the Indian Penal Code did not remain so pernicious a misconduct on his part as to visit him with the grave punishment of termination from service on these peculiar facts of the case and especially when the Labour Court also did not award any back wages to the respondent from 1983 till the respondent's reinstatement by its order dated 29-9-1995 and one month thereafter and when the High Court also did not think it fit to interfere under Article 226 of the Constitution of India on the peculiar facts of this case. In our opinion, the interest of justice will be served by maintaining the order passed by the Labour Court and as confirmed by the High Court subject to a slight modification that the respondent may be treated to be a fresh recruit from the date when he was exonerated by the High Court, i.e., from 13-1-1988 which can be treated as 1-1-1988 for the sake of convenience. It is ordered accordingly. From 1-1-1988, the respondent will be treated to have been reinstated into the services of the Bank on the basis that he will be treated as a fresh recruit from that date and will be entitled to be placed at the bottom of the revised scale of pay for Clerks and will also be entitled to other allowances which were available in the cadre of Clerks in the Bank's service. The respondent will be entitled to back wages with effect from 1-11-1995, i.e., from the date when the Labour Court awarded the reinstatement of the respondent. It also directed that the appellant-Bank will work out appropriate back wages payable to the respondent from 1-11-1995 in the time-scale of Clerks as available from 1-1-1988, treating his services to be continuous from that date and accordingly, working out of his salary and emoluments on a notional basis with the usual increments from 1-1-1988 and the actual arrears of pay and other permissible emoluments from 1-11-1995 till reinstatement of the respondent by the appellant. All such arrears will be paid to the respondent within a period of four weeks from 1-3-1999. The respondent who is present before us takes notice of this order and his counsel on his instructions states that the respondent will report for duty pursuant to the present order before the Regional Manager, Bank of Baroda, Northern Zone, Meerut on 1-3-1999. Learned counsel for the appellant agrees to the said course being adopted. The appeal will stand dismissed subject to the aforesaid modifications. IA No. 2 for passing order under Section 17-B of the Industrial Disputes Act, 1947 will not survive in view of the present order. We make it clear that this order of ours is rendered on the peculiar facts and circumstances of the case as mentioned earlier and will not be treated as a precedent in future. There would be no order as to costs." 11. It is not in dispute that a criminal case registered under Sections 323, 341, 294, 506-B read with Section 34 IPC was pending on the date when the respondent filled the attestation form. Hence, the information given by the respondent as against columns 12 and 13 as "No" is plainly suppression of material information and it is also a false statement. Admittedly, the respondent is holder of B.A, B.Ed and M.Ed degrees. Assuming even his medium of instruction was Hindi throughout, no prudent man can accept that he did not study English language at all at any stage of his education. It is also not the case of the respondent that he did not study English at all. If he could understand columns 1-11 correctly in the same attestation form, it is difficult to accept his version that he could not correctly understand the contents of columns 12 and 13. Even otherwise, if he could not correctly understand certain English words, in the ordinary course he could have certainly taken the help of somebody. This being the position, the Tribunal was right in rejecting the contention of the respondent and the High Court committed a manifest error in accepting the contention that because the medium of instruction of the respondent was Hindi, he could not understand the contents of columns 12 and 13. It is not the case that columns 12 and 13 are left blank. The respondent could not have said "No" as against columns 12 and 13 without understanding the contents. Subsequent withdrawal of criminal case registered against the respondent or the nature of offences, in our opinion, were not material. The requirement of filling columns 12 and 13 of the attestation form was for the purpose of verification of character and antecedents of the respondent as on the date of filling and attestation of the form. Suppression of material information and making a false statement has a clear bearing on the character and antecedents of the respondent in relation to his continuance in service. 12. The object of requiring information in columns 12 and 13 of the attestation form and certification thereafter by the candidate was to ascertain and verify the character and antecedents to judge his suitability to continue in service. A candidate having suppressed material information and/or giving false information cannot claim right to continue in service. The employer having regard to the nature of the employment and all other aspects had the discretion to terminate his services, which is made expressly clear in para 9 of the offer of appointment. The purpose of seeking information as per columns 12 and 13 was not to find out either the nature or gravity of the offence or the result of a criminal case ultimately. The information in the said columns was sought with a view to judge the character and antecedents of the respondent to continue in service or not. The High Court, in our view, has failed to see this aspect of the matter. It went wrong in saying that the criminal case had been subsequently withdrawn and that the offences, in which the respondent was alleged to have been involved, were also not of serious nature. In the present case the respondent was to serve as a Physical Education Teacher in Kendriya Vidyalaya. The character, conduct and antecedents of a teacher will have some impact on the minds of the students of impressionable age. The appellants having considered all the aspects passed the order of dismissal of the respondent from service. The Tribunal after due consideration rightly recorded a finding of fact in upholding the order of dismissal passed by the appellants. The High Court was clearly in error in upsetting the order of the Tribunal. The High Court was again not right in taking note of the withdrawal of the case by the State Government and that the case was not of a serious nature to set aside the order of the Tribunal on that ground as well. The respondent accepted the offer of appointment subject to the terms and conditions mentioned therein with his eyes wide open. Para 9 of the said memorandum extracted above in clear terms kept the respondent informed that the suppression of any information may lead to dismissal from service. In the attestation form, the respondent has certified that the information given by him is correct and complete to the best of his knowledge and belief; if he could not understand the contents of columns 12 and 13, he could not certify so. Having certified that the information given by him is correct and complete, his version cannot be accepted. The order of termination of services clearly shows that there has been due consideration of various aspects. In this view, the argument of the learned counsel for the respondent that as per para 9 of the memorandum, the termination of service was not automatic, cannot be accepted." It is clear from the decision in Ram Ratan Yadav (supra) that besides considering the effect of suppression, this Court has observed that having regard to the nature of employment and various aspects, the employer has the discretion to terminate his services as provided in the order of appointment. It was also held that the involvement in the criminal case would have some impact on the minds of students of impressionable age. This Court has further observed that the order of termination of service shows that there had been due consideration of various aspects by the concerned authority while passing the order of termination. It is clear from the decision in Ram Ratan (supra) also that there is a discretion with the employer to terminate the services. Character, conduct and antecedents do have some impact on the nature of employment and there has to be due consideration of various aspects. Thus, it follows that merely because there is a power to terminate services or cancellation of offer of appointment, it does not follow that the person should be removed out rightly. Various aspects have to be considered and the discretion so used should not be arbitrary or fanciful. It has to be guided on certain principles for which purpose verification is sought. "Column 12.-Have you ever been convicted by a court of law or detained under any State/Central preventive detention laws for any offence whether such conviction sustained in court of appeal or set aside by the appellate court if appealed against." "Column 3.-I am fully aware that furnishing of false information or suppression of any actual information in the attestation form would be a disqualification and is likely to render me unfit for employment under the Government. 9. A bare perusal of the extracted portions shows that the candidate is required to indicate as to whether he has ever been convicted by a court of law or detained under any State/Central preventive detention laws for any offences whether such conviction is sustained or set aside by the appellate court, if appealed against. The candidate is not required to indicate as to whether he had been arrested in any case or as to whether any case was pending. Conviction by a court or detention under any State/Central preventive detention laws is different from arrest in any case or pendency of a case. By answering that the respondent had not been convicted or detained under preventive detention laws it cannot be said that he had suppressed any material fact or had furnished any false information or suppressed any information in the attestation form to incur disqualification. The State Government and the Tribunal appeared to have proceeded on the basis that the respondent ought to have indicated the fact of arrest or pendency of the case, though column 12 of the attestation form did not require such information being furnished. The learned counsel for the appellants submitted that such a requirement has to be read into an attestation form. We find no reason to accept such contention. There was no specific requirement to mention as to whether any case is pending or whether the applicant had been arrested. In view of the specific language so far as column 12 is concerned the respondent cannot be found guilty of any suppression." "8. We have heard the learned counsel for the parties and gone through the record. Rule 57 of the Rules provides for a probation period of 2 years from the date of appointment subject to extension. Rule 67 provides that a direct recruit selected for appointment as an enrolled member of the Force is liable to be discharged at any stage if the Chief Security Officer, for reasons to be recorded in writing, deems it fit to do so in the interest of the Force till such time as the recruit is not formally appointed to the Force. A reading of these two rules would reveal that till a recruit is formally enrolled to the Force his appointment is extremely tenuous. 13. In A.P. Public Service Commission v. Koneti Venkateswarulu & Ors. 2006(1) S.C.T. 774 : (2005) 7 SCC 177 there was suppression of the information regarding the employment and the explanation offered that he inadvertently filled the form was not accepted. "18. There are also several other features in this case which distinguish it from Ram Ratan Yadav (2003) 3 SCC 437. First is that Ram Ratan Yadav (supra) related to an employee of Kendriya Vidyalaya Sangathan, who did not have the protection of Article 311 of the Constitution of India, whereas in this case we are concerned with a Government servant protected by Article 311. Second is that the attestation form in this case, was required to be furnished by the employee, not when he was appointed, but after fourteen years of service. The third is that while action was promptly taken against the probationer in Ram Ratan Yadav, within the period of probation, in this case even after knowing that the appellant had furnished wrong information, the respondents did not take any action for seven long years, which indicated that the Department proceeded for a long time on the assumption that the wrong information did not call for any disciplinary or punitive action. The belated decision to terminate him, seven years later was unjustified and violative of Article 311. 19. If the appellant had been issued a charge-sheet or a show-cause notice he would have had an opportunity to explain the reason for answering the queries in Column 12 in the manner he did. He could have explained that he did not understand the queries properly and that he was instructed to furnish the information as on the date of appointment. In fact his contention that he was required to answer the queries in Column 12 with reference to the date of his appointment, finds support from the termination order, which says that the appellant was terminated for giving wrong information and concealment of facts in the attestation from at the time of initial recruitment. This clearly implies that he was expected to reply the queries in Column 12 with reference to his initial appointment, even though Clauses 12(b) and (c) of the form stated that the information should be as on the date of signing of the attestation form. The explanations given by the appellant, would have certainly made a difference to the finding on guilt and the punishment to be imposed. But he could not give the said explanations as there was no show-cause notice or enquiry. The termination order is also unsustainable, as the statement therein that the appellant had given wrong information and concealed the facts at the time of initial recruitment, is erroneous. 20. The learned counsel for the respondents drew our attention to the instructions to the employees in the preamble to the attestation form and the undertaking contained in the verification certificate by the employee at the end of the attestation form, which puts him on notice that any false information could result in termination of his service without enquiry. It is contended that as the attestation form stated that an employee could be terminated without notice, if he furnishes false information, the employee is estopped from objecting to termination without notice. The said contention may merit acceptance in the case of a probationer, but not in the case of a confirmed Government servant. "the furnishing of false information or suppression of any factual information in the attestation form would be a disqualification and is likely to render the candidate unfit for employment". "I am not aware of any circumstances which might impair my fitness for employment under the Government. I agree that if the above information is found false or incomplete in any material respect, the appointing authority will have a right to terminate my services without giving notice or showing cause." "14. Verification.-(a) As soon as a man is enrolled, his character, antecedents, connections and age shall be verified in accordance with the procedure prescribed by the Central Government from time to time. The verification roll shall be sent to the District Magistrate or Deputy Commissioner of the District of which the recruit is a resident. (b) The verification roll shall be in CRP Form 25 and after verification shall be attached to the character and service roll of the member of the force concerned." 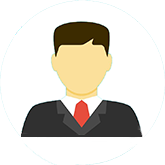 The purpose of seeking the said information is to ascertain the character and antecedents of the candidate so as to assess his suitability for the post. Therefore, the candidate will have to answer the questions in these columns truthfully and fully and any misrepresentation or suppression or false statement therein, by itself would demonstrate a conduct or character unbefitting for a uniformed security service. 16. Thus an employee on probation can be discharged from service or a prospective employee may be refused employment: (i) on the ground of unsatisfactory antecedents and character, disclosed from his conviction in a criminal case, or his involvement in a criminal offence (even if he was acquitted on technical grounds or by giving benefit of doubt) or other conduct (like copying in examination) or rustication or suspension or debarment from college, etc. ; and (ii) on the ground of suppression of material information or making false statement in reply to queries relating to prosecution or conviction for a criminal offence (even if he was ultimately acquitted in the criminal case). This ground is distinct from the ground of previous antecedents and character, as it shows a current dubious conduct and absence of character at the time of making the declaration, thereby making him unsuitable for the post." "21. If the object of the query is to ascertain the antecedents and character of the candidate to consider his fitness and suitability for employment, and if the consequence of a wrong answer can be rejection of his application for appointment, or termination from service if already appointed, the least that is expected of the employer is to ensure that the query was clear, specific and unambiguous. Obviously, the employer cannot dismiss/discharge/terminate an employee, for misunderstanding a vague and complex question, and giving a wrong answer. We do hope that CRPF and other uniformed services will use clear and simple questions and avoid any variations between the English and Hindi versions. They may also take note of the fact that the ambiguity and vague questions will lead to hardship and mistakes and make the questions simple, clear and straightforward. Be that as it may." However, on facts this Court held that the employee was not misled and made a false statement. As such CRPF was justified in dispensing with his services for not being truthful in giving material information. "5. We have heard the learned counsel for the parties and we fail to appreciate how when a criminal case under Sections 148/323/380/ 448/427/506 IPC, against the respondent was pending in the Court of the Additional Chief Judicial Magistrate, Uluberia, Howrah, any mandamus could have been issued by the High Court to the authorities to appoint the respondent as a constable. Surely, the authorities entrusted with the responsibility of appointing constables were under duty to verify the antecedents of a candidate to find out whether he is suitable for the post of constable and so long as the candidate has not been acquitted in the criminal case of the charges under Sections 148/323/380/448/427/506 IPC, he cannot possibly be held to be suitable for appointment to the post of constable." "8. We respectfully agree with the Delhi High Court that the cancellation of his candidature was illegal, but we wish to give our own opinion in the matter. When the incident happened the respondent must have been about 20 years of age. At that age young people often commit indiscretions, and such indiscretions can often be condoned. After all, youth will be youth. They are not expected to behave in as mature a manner as older people. Hence, our approach should be to condone minor indiscretions made by young people rather than to brand them as criminals for the rest of their lives. "I come now to Mr Watkin Powell's third point. He says that the sentences were excessive. I do not think they were excessive, at the time they were given and in the circumstances then existing. Here was a deliberate interference with the course of justice in a case which was no concern of theirs. It was necessary for the Judge to show-and to show to all students everywhere-that this kind of thing cannot be tolerated. Let students demonstrate, if they please, for the causes in which they believe. Let them make their protests as they will. But they must do it by lawful means and not by unlawful. If they strike at the course of justice in this land-and I speak both for England and Wales-they strike at the roots of society itself, and they bring down that which protects them. It is only by the maintenance of law and order that they are privileged to be students and to study and live in peace. So let them support the law and not strike it down. But now what is to be done? The law has been vindicated by the sentences which the Judge passed on Wednesday of last week. He has shown that law and order must be maintained, and will be maintained. But on this appeal, things are changed. These students here no longer defy the law. They have appealed to this Court and shown respect for it. They have already served a week in prison. I do not think it necessary to keep them inside it any longer. These young people are no ordinary criminals. There is no violence, dishonesty or vice in them. On the contrary, there was much that we should applaud. They wish to do all they can to preserve the Welsh language. Well may they be proud of it. It is the language of the bards-of the poets and the singers-more melodious by far than our rough English tongue. On high authority, it should be equal in Wales with English. They have done wrong-very wrong-in going to the extreme they did. But, that having been shown, I think we can, and should, show mercy on them. We should permit them to go back to their studies, to their parents and continue the good course which they have so wrongly disturbed." (Vide Morris v. Crown Office (1970) 2 QB 114 at p. 125C-H. In our opinion, we should display the same wisdom as displayed by Lord Denning. This Court has observed that suppression related to a case when the age of Sandeep Kumar was about 20 years. He was young and at such age people often commit indiscretions and such indiscretions may often be condoned. The modern approach should be to reform a person instead of branding him a criminal all his life. In Morris v. Crown Office (supra), the observations made were that young people are no ordinary criminals. There is no violence, dishonesty or vice in them. They were trying to preserve the Welsh language. Though they have done wrong but must we show mercy on them and they were permitted to go back to their studies, to their parents and continue the good course. 12. On a reading of the order dated 18-7-2002 of the Additional Chief Judicial Magistrate it would show that the sole witness examined before the court, PW 1, Mr Akhilesh Kumar, had deposed before the court that on 2-12-2000 at 4.00 p.m. children were quarrelling and at that time the appellant, Shailendra and Ajay Kumar amongst other neighbours had reached there and someone from the crowd hurled abuses and in the scuffle Akhilesh Kumar got injured when he fell and his head hit a brick platform and that he was not beaten by the accused persons by any sharp weapon. In the absence of any other witness against the appellant, the Additional Chief Judicial Magistrate acquitted the appellant of the charges under Sections 323/34/504 IPC. On these facts, it was not at all possible for the appointing authority to take a view that the appellant was not suitable for appointment to the post of a police constable. 14. As has been stated in the instructions in the Government Order dated 28-4-1958, it was the duty of the Senior Superintendent of Police, Ghaziabad, as the appointing authority, to satisfy himself on the point as to whether the appellant was suitable for appointment to the post of a constable, with reference to the nature of suppression and nature of the criminal case. Instead of considering whether the appellant was suitable for appointment to the post of male constable, the appointing authority has mechanically held that his selection was irregular and illegal because the appellant had furnished an affidavit stating the facts incorrectly at the time of recruitment." 20. When we take stock of aforesaid decisions of this Court in nutshell it emerges that in Ramashanker Raghuvanshi (supra), this Court has opined that activities in Jan Sangh and RSS could not be made a ground to deprive employment. In democratic set up `McCarthyism' is not healthy. Some leniency to young people cannot be ruled out. In T. S. Vasudavan Nair (supra), a three Judges' Co-ordinate Bench of this Court held that due to non-disclosure of conviction in a case of violation of Defence of India Rules by shouting slogans, the cancellation of appointment was illegal. In Dhaval Singh (supra), though pendency of case was suppressed when verification form was filed, however, the information about it was furnished before cancellation of appointment order on the ground of suppression was passed. This Court set aside the order on the ground of non-consideration of effect of disclosure made before order of cancellation of appointment was passed. In Sandeep Kumar (supra), this Court in the backdrop fact of the case that offence suppressed was committed under section 325/34 IPC at the time when incumbent was 20 years of age. This Court held that young people to be dealt with leniency. They should not be deprived of appointment as suppression did not relate to involvement in a serious case. In Ram Kumar (supra), this Court considered a case when pending criminal case under sections 324, 323, 504 IPC in which subsequently acquittal had been recorded, no overt act was attributed by sole witness to incumbent and moreover Government instructions dated 28.4.1958 requiring authority to consider suitability as such was not complied with, denying back wages to incumbent, his appointment was ordered. In Regional Manager, Bank of Baroda (supra), this Court declined to interfere under Article 136 in view of subsequent acquittal in a case under section 307 IPC. The decision of Labour Court was not interfered with. Passage of time was taken into consideration. However, this Court clarified that decision will not be treated as precedent. In Kamal Nayan Mishra (supra), action was taken when employee was not on probation. He had been confirmed in service and was holding civil post, attestation was filled after 14 years of service and then after 7 years of that, action was taken. It was held that confirmed employee could not have been removed in view of protection under Article 311(2) without enquiry. Removal was held to be void. In M. Bhaskaran (supra), it was held that when the employment was taken on bogus and forged casual labourer service card no estoppel was created against employer by appointment and such appointment was voidable. In Sushil Kumar (supra), on consideration of background facts of the pending case which was suppressed under sections 304, 324/34 and 324 IPC, it was held not desirable to appoint incumbent notwithstanding his subsequent acquittal. In Ram Ratan Yadav (supra), this Court held that suppression of pending criminal case under sections 323, 341, 294, 506B/34 IPC on the date of filing attestation form coupled with impact of it on students, nature of employment, the discretion exercised to terminate the services was upheld. In R. Radhakrishnan (supra) in which pendency of criminal case under section 294(b) IPC was suppressed relying on Sushil Kumar (supra), it was held that removal was legal. 21. The verification of antecedents is necessary to find out fitness of incumbent, in the process if a declarant is found to be of good moral character on due verification of antecedents, merely by suppression of involvement in trivial offence which was not pending on date of filling attestation form, whether he may be deprived of employment? There may be case of involving moral turpitude/serious offence in which employee has been acquitted but due to technical reasons or giving benefit of doubt. There may be situation when person has been convicted of an offence before filling verification form or case is pending and information regarding it has been suppressed, whether employer should wait till outcome of pending criminal case to take a decision or in case when action has been initiated there is already conclusion of criminal case resulting in conviction/acquittal as the case may be. The situation may arise for consideration of various aspects in a case where disclosure has been made truthfully of required information, then also authority is required to consider and verify fitness for appointment. Similarly in case of suppression also, if in the process of verification of information, certain information comes to notice then also employer is required to take a decision considering various aspects before holding incumbent as unfit. If on verification of antecedents a person is found fit at the same time authority has to consider effect of suppression of a fact that he was tried for trivial offence which does not render him unfit, what importance to be attached to such non-disclosure. Can there be single yardstick to deal with all kind of cases? 22. The employer is given `discretion' to terminate or otherwise to condone the omission. Even otherwise, once employer has the power to take a decision when at the time of filling verification form declarant has already been convicted/acquitted, in such a case, it becomes obvious that all the facts and attending circumstances, including impact of suppression or false information are taken into consideration while adjudging suitability of an incumbent for services in question. In case the employer come to the conclusion that suppression is immaterial and even if facts would have been disclosed would not have affected adversely fitness of an incumbent, for reasons to be recorded, it has power to condone the lapse. However, while doing so employer has to act prudently on due consideration of nature of post and duties to be rendered. For higher officials/higher posts, standard has to be very high and even slightest false information or suppression may by itself render a person unsuitable for the post. However same standard cannot be applied to each and every post. In concluded criminal cases, it has to be seen what has been suppressed is material fact and would have rendered an incumbent unfit for appointment. An employer would be justified in not appointing or if appointed to terminate services of such incumbent on due consideration of various aspects. Even if disclosure has been made truthfully the employer has the right to consider fitness and while doing so effect of conviction and background facts of case, nature of offence etc. have to be considered. Even if acquittal has been made, employer may consider nature of offence, whether acquittal is honourable or giving benefit of doubt on technical reasons and decline to appoint a person who is unfit or dubious character. In case employer comes to conclusion that conviction or ground of acquittal in criminal case would not affect the fitness for employment incumbent may be appointed or continued in service. 23. Coming to the question whether an employee on probation can be discharged/refused appointment though he has been acquitted of the charge/s, if his case was not pending when form was filled, in such matters, employer is bound to consider grounds of acquittal and various other aspects, overall conduct of employee including the accusations which have been levelled. If on verification, the antecedents are otherwise also not found good, and in number of cases incumbent is involved then notwithstanding acquittals in a case/cases, it would be open to the employer to form opinion as to fitness on the basis of material on record. In case offence is petty in nature committed at young age, such as stealing a bread, shouting of slogans or is such which does not involve moral turpitude, cheating, misappropriation etc. or otherwise not a serious or heinous offence and accused has been acquitted in such a case when verification form is filled, employer may ignore lapse of suppression or submitting false information in appropriate cases on due consideration of various aspects. 25. The fraud and misrepresentation vitiates a transaction and in case employment has been obtained on the basis of forged documents, as observed in M. Bhaskaran's case (supra), it has also been observed in the reference order that if an appointment was procured fraudulently, the incumbent may be terminated without holding any inquiry, however we add a rider that in case employee is confirmed, holding a civil post and has protection of Article 311(2), due inquiry has to be held before terminating the services. The case of obtaining appointment on the basis of forged documents has the effect on very eligibility of incumbent for the job in question, however, verification of antecedents is different aspect as to his fitness otherwise for the post in question. The fraudulently obtained appointment orders are voidable at the option of employer, however, question has to be determined in the light of the discussion made in this order on impact of suppression or submission of false information. 27. Suppression of `material' information presupposes that what is suppressed that `matters' not every technical or trivial matter. The employer has to act on due consideration of rules/instructions if any in exercise of powers in order to cancel candidature or for terminating the services of employee. Though a person who has suppressed the material information cannot claim unfettered right for appointment or continuity in service but he has a right not to be dealt with arbitrarily and exercise of power has to be in reasonable manner with objectivity having due regard to facts of cases. 29. The `McCarthyism' is antithesis to constitutional goal, chance of reformation has to be afforded to young offenders in suitable cases, interplay of reformative theory cannot be ruled out in to nor can be generally applied but is one of the factors to be taken into consideration while exercising the power for cancelling candidature or discharging an employee from service. (1) Information given to the employer by a candidate as to conviction, acquittal or arrest, or pendency of a criminal case, whether before or after entering into service must be true and there should be no suppression or false mention of required information. (2) While passing order of termination of services or cancellation of candidature for giving false information, the employer may take notice of special circumstances of the case, if any, while giving such information. (3) The employer shall take into consideration the Government orders/instructions/rules, applicable to the employee, at the time of taking the decision. (a) In a case trivial in nature in which conviction had been recorded, such as shouting slogans at young age or for a petty offence which if disclosed would not have rendered an incumbent unfit for post in question, the employer may, in its discretion, ignore such suppression of fact or false information by condoning the lapse. (b) Where conviction has been recorded in case which is not trivial in nature, employer may cancel candidature or terminate services of the employee. (c) If acquittal had already been recorded in a case involving moral turpitude or offence of heinous/serious nature, on technical ground and it is not a case of clean acquittal, or benefit of reasonable doubt has been given, the employer may consider all relevant facts available as to antecedents, and may take appropriate decision as to the continuance of the employee.